The latest chapter in the epic online space fantasy action role-playing series is marching its Humans, Newmen and robotic CAST slowing across the ocean, as Sega announces a Western release for Phantasy Star Online 2 in 2013. 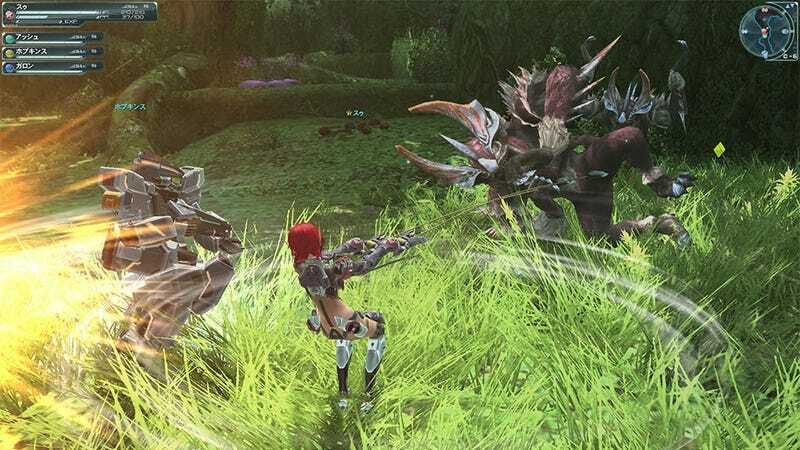 Launched just last week in Japan, Phantasy Star Online 2 is a free-to-play PC game that sees teams of players gathering online to take on a missions in a variety of alien environments tied together through a central storyline. It's the latest entry in the series that began with 2000's Phantasy Star Online for the Sega Dreamcast, one of the first major online-enabled console titles. From what I've seen the series hasn't changed all that much since then. Phantasy Star Online will probably set me on fire for saying that, but really. Right now Sega's website has the game listed for downloadable PC release, but with plans in the works to bring the game to the PlayStation Vita and smart phones in Japan, I don't see why that can't happen here. And now we wait. In the meantime, the official teaser trailer is now live at Sega.com. You should watch that.